The new release includes valuable new features requested from the feedback form like open voting, extra cards, custom Jira story points numeric field, etc. The following new features are included in the latest release. The open voting feature is accessible from the settings and discovers the vote of each participant as soon as it is done. This is also called open voting and allows immediate discussion of each vote in the team. Once it is enabled, during the voting process the the votes of each participant are open and visible to the others. The open voting is both available as a global setting as well as a preset that can be assigned to particular tickets. Some Jira projects have a non-standard structure and the Next Gen field Story point estimate or the Jira software’s Story Points are not the used field for story points. Now a custom field for the story points is available to be configured from the Integrations tab of the Settings page. The new option is called Jira estimate field and is used only when there is neither Story point estimate nor Story Points field in the project’s Edit screen. 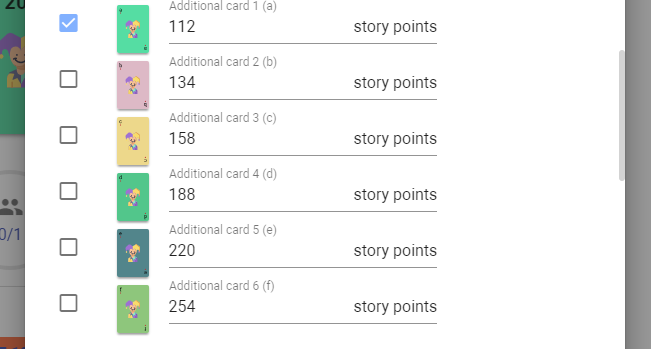 Note: as a kind reminder, if the story points is not updated, please make sure that either Story point estimate or Story Points or the new custom field is available in the Jira project’s Edit screen. Please contact your Jira project administrator to configure those fields properly in case of non-standard Jira setup. Now optionally there are 6 more cards available for voting. They increase the scale for all types of cards. Those cards are a natural extension in case the highest estimate points/time value is higher than the available cards. The new “Joker” cards are disabled by default, but can be quickly enabled from the Cards tab of the Settings page globally or per preset as any other voting set card. Optionally, per-participant it is possible to change the card background out of several available options. In the near future we’ll add more and improve the existing backgrounds. 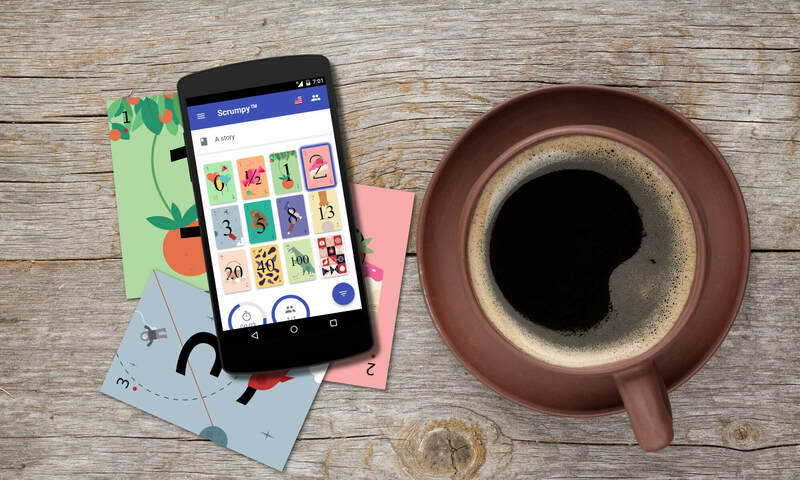 Those backgrounds are available only when the simplest monochrome types of cards are selected from the personal settings tab of the settings page.